Sales Training and Resources | The Vantage Group, Inc. Interested in improving your sales performance? From Sales Management training, to topical training programs, to coaching, to free resources, we’ve got you covered! Get more information about our training below, and be sure to reach out to us with questions and to get started. Boil down your sales process into simple, actionable tactics. Then we teach you how to train it to your sales team. Help your sales team be positioned as strategic advisors with well-defined steps and proper pre-planning. 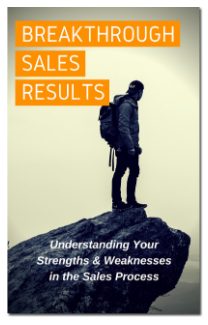 One of the weakest areas of sales can become your strongest with our training. We teach positioning, prospecting and pre-call planning to discover the best-qualified prospects. Our referral strategies can help your sales team capitalize on a widely under-utilized prospecting tool. Learn how to expertly navigate conflicts with clients and turn these situations into honest relationships and improved collaboration. Arm your sales team with a variety of solutions to common and potential client issues. Understanding your sales numbers is important to the success of your sales team, and in ensuring you reach your sales goals. 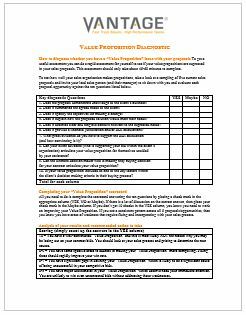 Learn how to diagnose whether you have a “Value Proposition” issue with your sales proposals. Take a quiz to see where you stand! 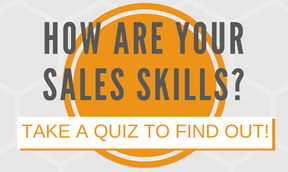 Your score will help you identify how you can further improve your sales skills and grow in the sales practice. A high IQ might make you a genius, but it’s high EI that will put you on top in the business world. 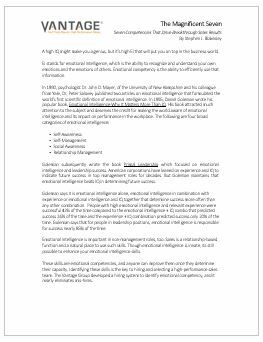 EI stands for Emotional Intelligence, which is the ability to recognize and understand your own emotions and the emotions of others. Emotional competency is the ability to efficiently use that information. If you want to sell with greater success, you must master the selling process. Increase your knowledge and skills with our free EBook.